Brown spring mushroom with a faint ring zone and brown spore print. They were growing singly in the woods, while other I found this spring were growing clusters in wood chips. Very common at Westwood in the summer after a good rain. It's not featured in most field guides. A lot of features indicate a species of Pholiota including: growth on wood, brown spore print, scales on cap, ring zone on stalk, and scales on the stem. The scales on the cap were sparse. As were the scales on the stem and the ring zone. 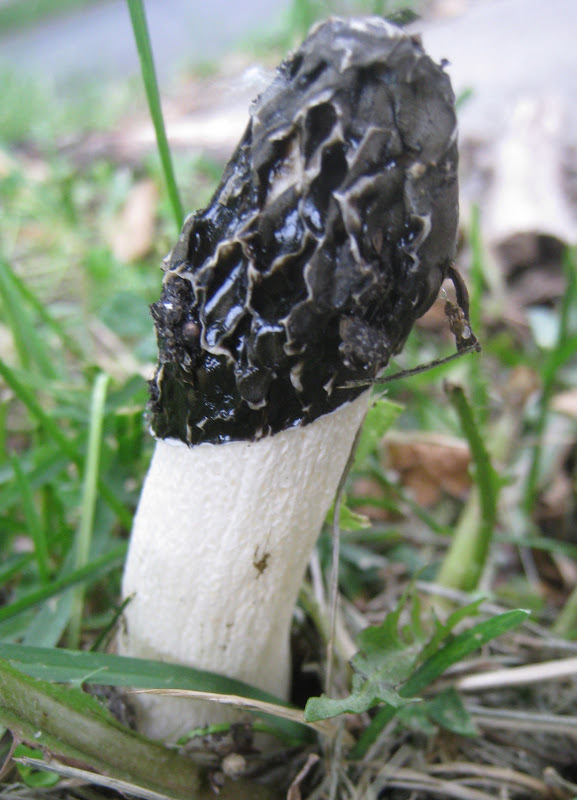 In general, Pholiotas are larger mushrooms. 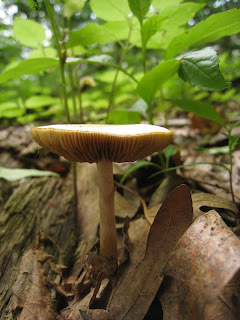 It also had a snapable stem, which is a feature mentioned in many guides of mushrooms in the genus Psathyrella, but the spore color is usually darker (purple-brown to blackish). Maybe I would be better off leaving it as a LBM. Whatever it is, it was part of a very attractive log tableau which also featured other fungi, moss and possibly even a slime mold. 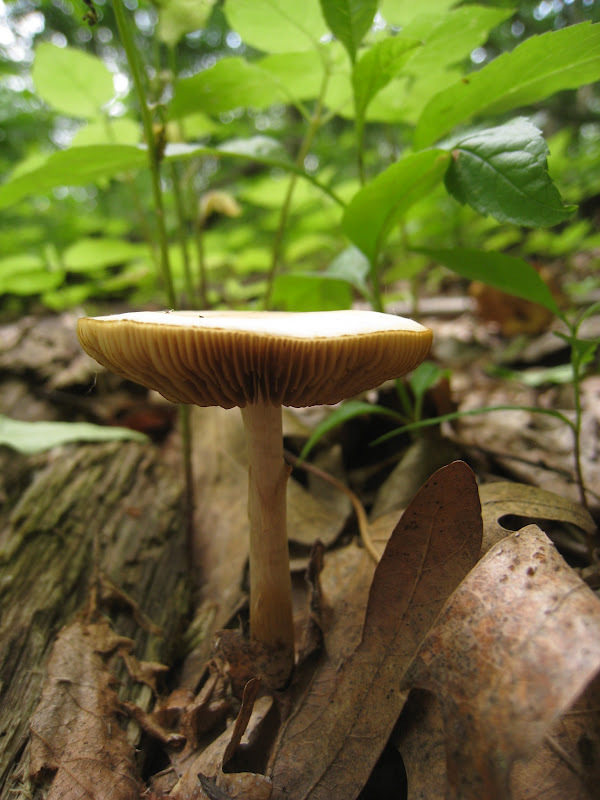 All the mushrooms in this post were found in Hennepin County, MN.